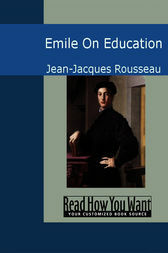 Sub-divided into five books, it describes the education and training of a young boy Emile during various stages of his life. Rousseau as his tutor teaches him the way to good living through education. The final book deals with the issues of female education. Even today it is one of the most widely read books on the subject of education. Enlightening!